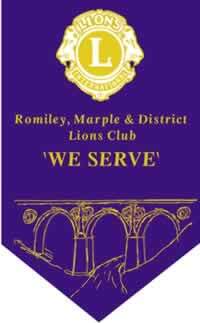 Romiley and Marple Lions have a new Lion President for 2014-15, Lion Pat Brady. 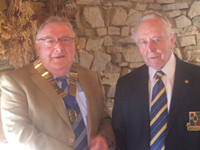 Pat is on the left of the photograph below wearing the chain of office, having just received it from last year’s President, Lion Keith Royle at a Handover Dinner held at Hyde Bank Farm in Romiley. Lion Pat is taking a second turn at the top job and is looking forward to another successful year.